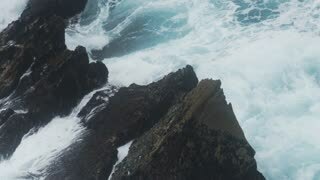 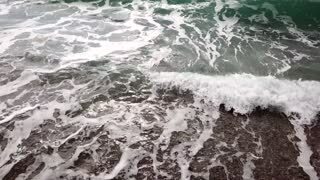 Aerial drone lockdown shot of foaming wave breaking in open ocean. 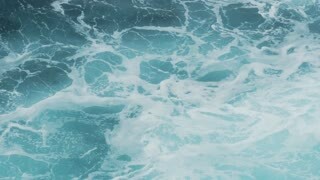 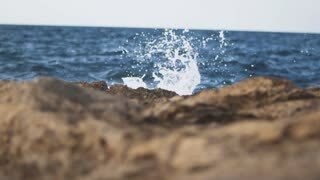 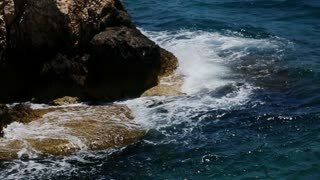 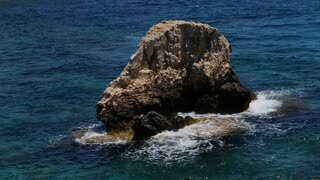 Beautiful vertical view of blue foaming sea water. 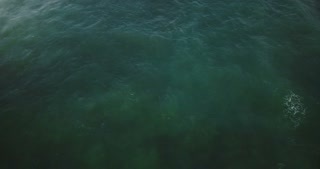 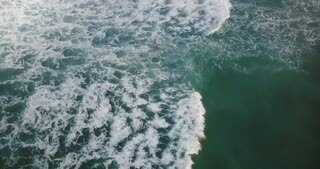 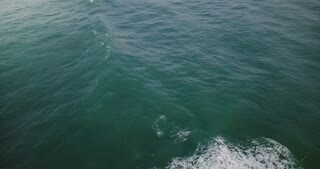 Drone flying low over high foaming waves in open ocean. 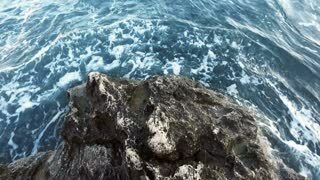 Peaceful vertical view of blue tides breaking over sea water.